This month's word at "One Little Word" is "DO." But what to do? I thought about it, and thought about it. I googled quotes with the word "DO," and found so many that I wanted to use. The best thing is that I got to use a lot of my stencils that I've designed for Stencil Girl! 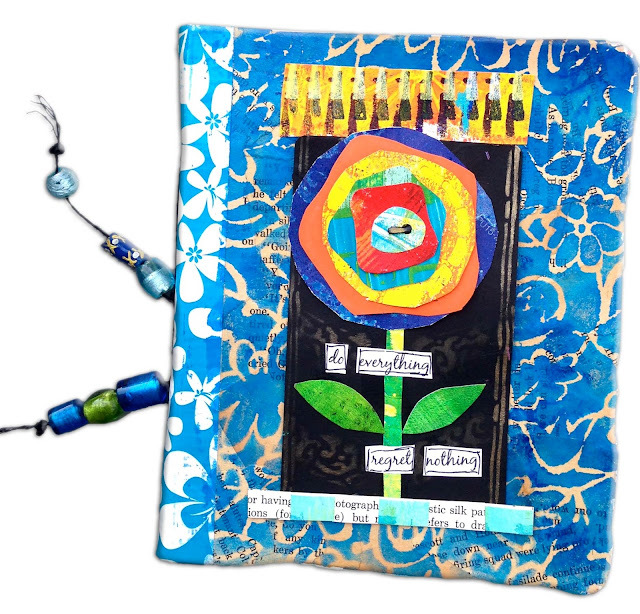 Here are sneak peaks at "Cascading Feathers" and "Positive and Negative Flowers." Here's Rain Girl -- opening up to DOING... because "sometimes what you're most afraid of doing is the very thing that will set you free..."
And yes, I made a video! You can watch it on You Tube here, or click on the image below. I hope you'll check out all the other great work at One Little Word, and consider linking up yourself! JUST DO IT! 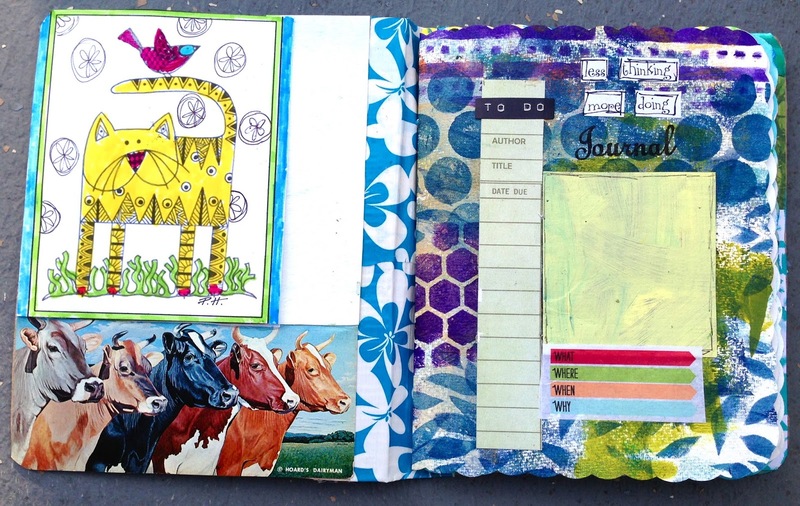 Does making a journal like this seem like fun? 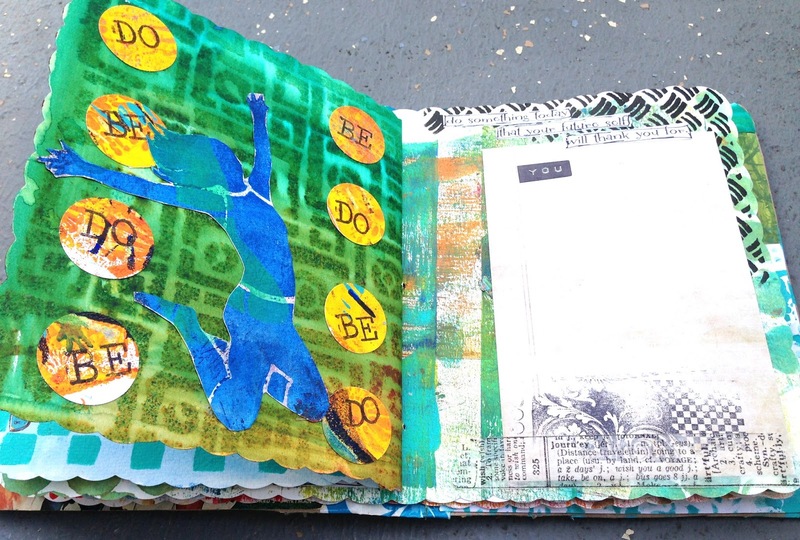 Join me at Little Bird Creations next Friday night (9/20) and make your own unique journal at our Gelli Plate party! 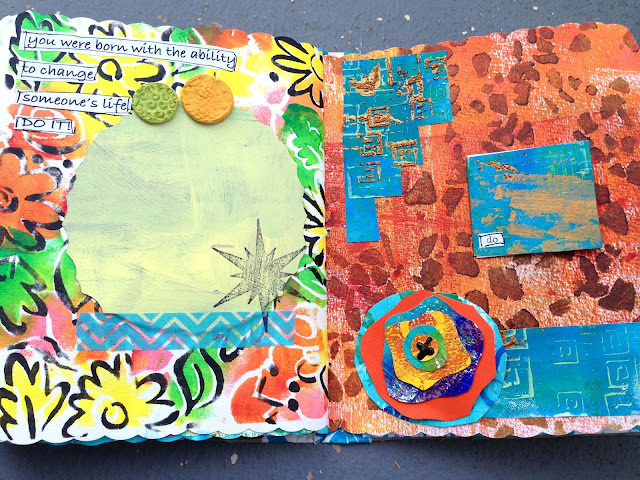 Linking up to Carolyn Dube's Gelli Print Party, and to my favorite Monday blog hops: Make It Monday, Mandarin Orange Monday, Creative Every Day, Inspire Me Monday, and Be Inspired. What a fabulous project! Loved the video and all the different pages you created! 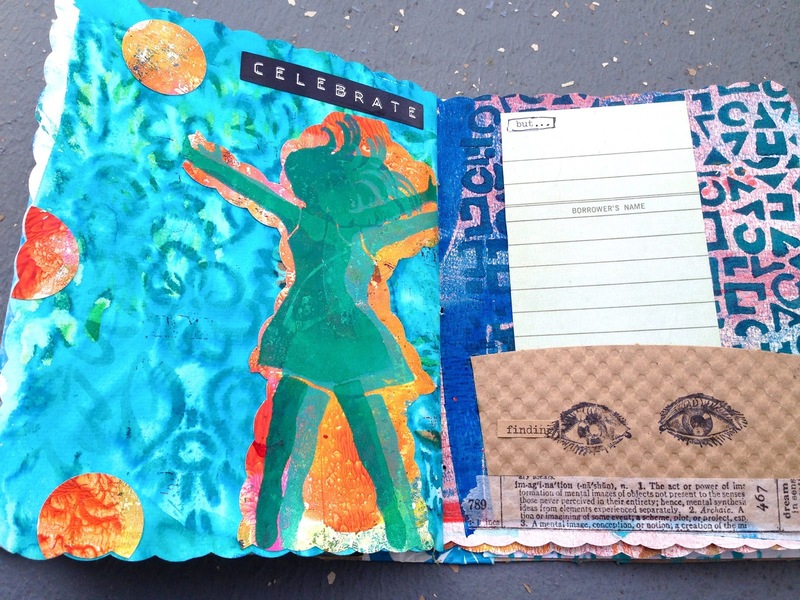 Absolutely awesome journal Jessica ! I especially love the borrowers library cards! Great for list making! I am very much a Do It gal! Yes, I'd love to make such a journal. 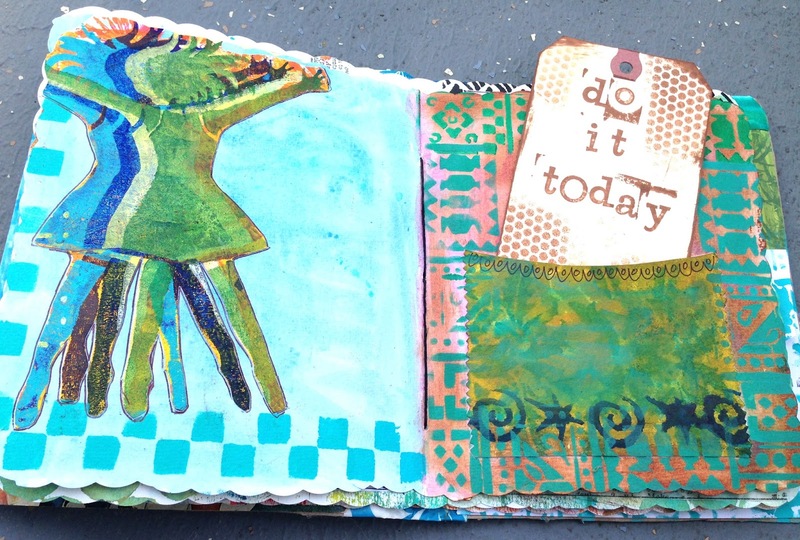 Maybe tomorrow ill get my gelli plate and stencils out to do it and play! 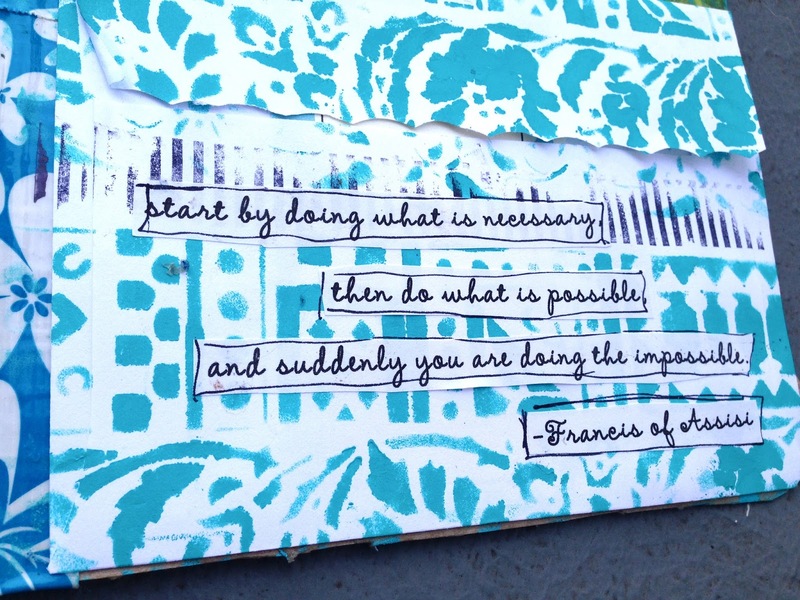 Your art always excites and inspires me! Great stuff!! 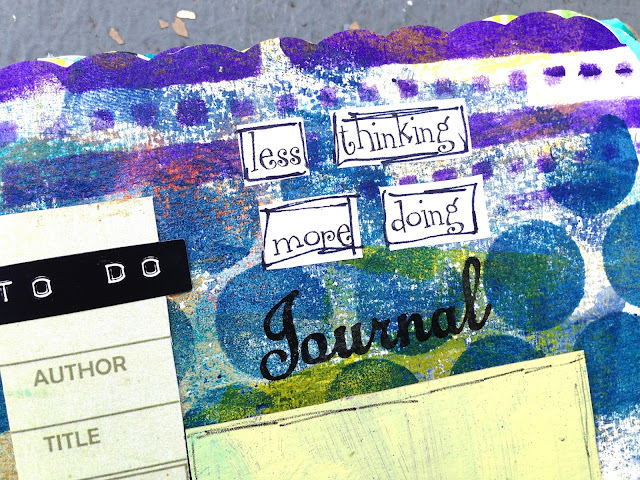 I love the idea of less thinking and more doing! 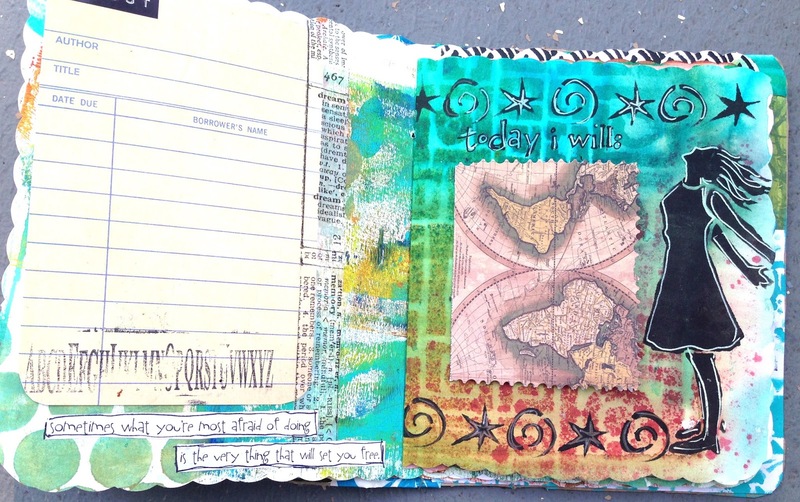 Awesome journal. You DO great, my friend. 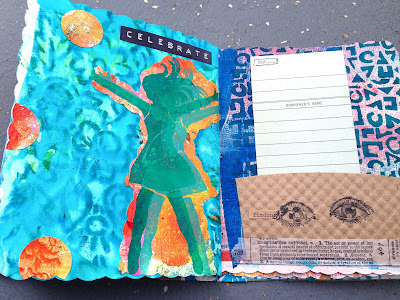 Those colorful pages and stencils make me want to "jump for joy". Wow you did an awesome job. I'm no good at doing anything like that at all. Kudos to you! Wow - what a fun blog post. I love all your photos and your very creative pages. Thanks for sharing. what a fun project. 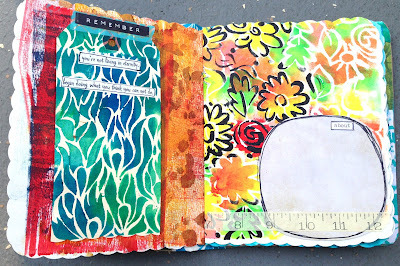 I love this and it so makes me want to get messy with paper! What a treat to get sneak peeks of soon to be stencils! 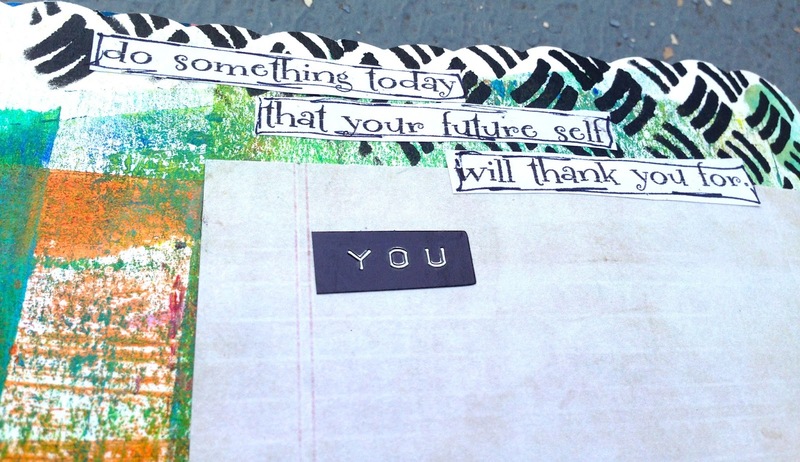 Love all your quotes in here- so many spoke to me! And your embrace the rain girl- still one of my favorites! So glad you shared this with the party! Sneak peeks are always fun. Love your "DO" journal, it is fantastic! The pages you've shared and the great quotes are so fun and inspiring... Love the flower... Now go DO! I linked over from the MIM Link Party where I am participating with my Spooky Halloween and Free Subway Art I would love it if you'd stop by. What a great book! Love the silhouettes gals all throughout and your rich colors. Thank you! I bound it together with duct tape for the spine, and then a pamphlet stitch with waxed linen thread. Wow!!! Love! The do-be-do-be-do made me laugh :-D.